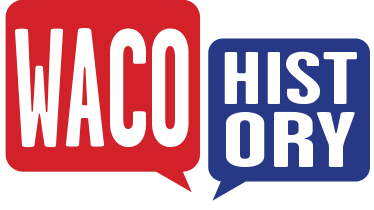 Ten weeks after the United States declared war on Germany in 1917, Waco was chosen as the site for a military training camp. 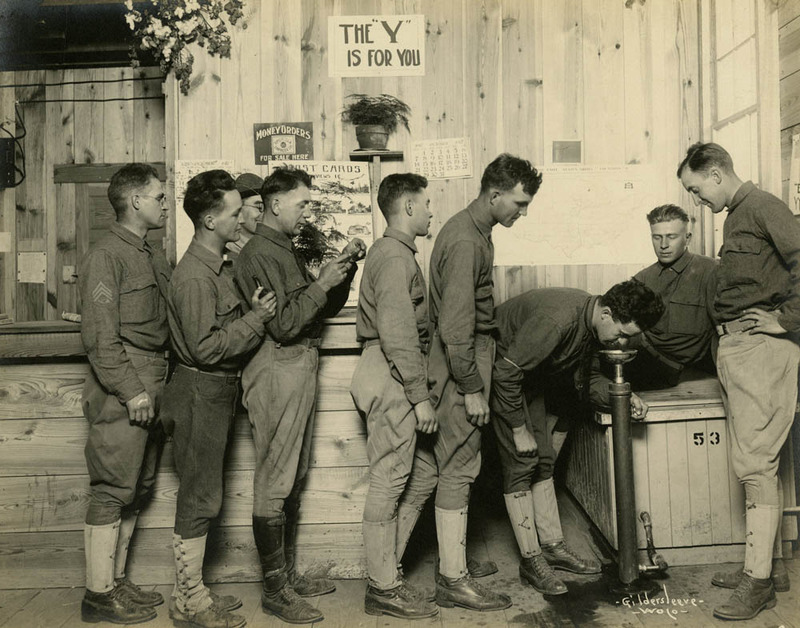 The United States initially lacked the military manpower needed to fight in the war and needed to rapidly increase the number enrolled in the armed forces. 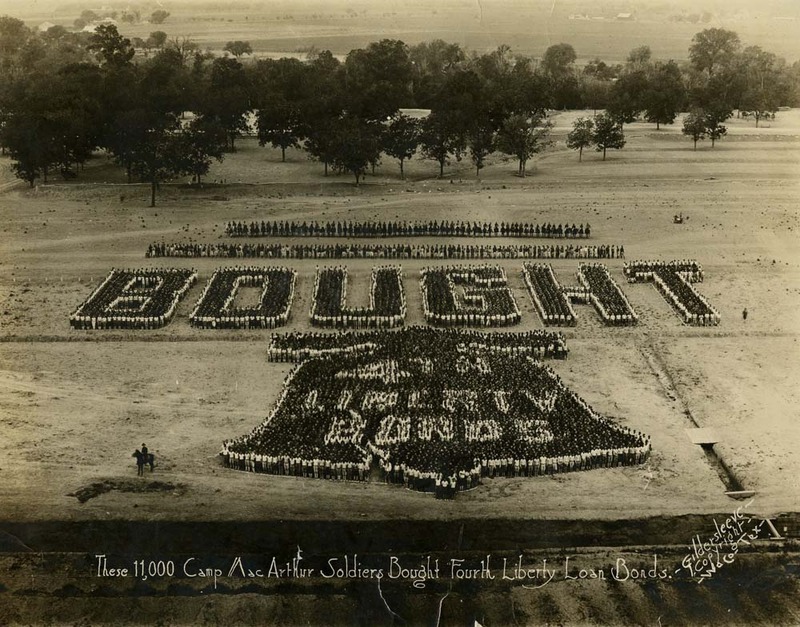 Cooperation between Waco businessmen and the federal government allowed construction to begin on a troop training complex on July 20, 1917. Spread out on 10,700 acres of cotton fields and blackland farms, the military camp cost five million dollars to construct. The site was named for Lt. Gen. Arthur MacArthur, a Medal of Honor recipient who served in the Civil War and the Spanish-American War. Eighteen thousand troops arrived to begin their training in September of 1917. These National Guardsmen, primarily from Wisconsin and Michigan, boosted the Waco population, stimulating economic growth for the city. Though Camp MacArthur possessed the capacity to hold around forty-five thousand troops, no more than twenty-eight thousand resided at the Waco training compound. 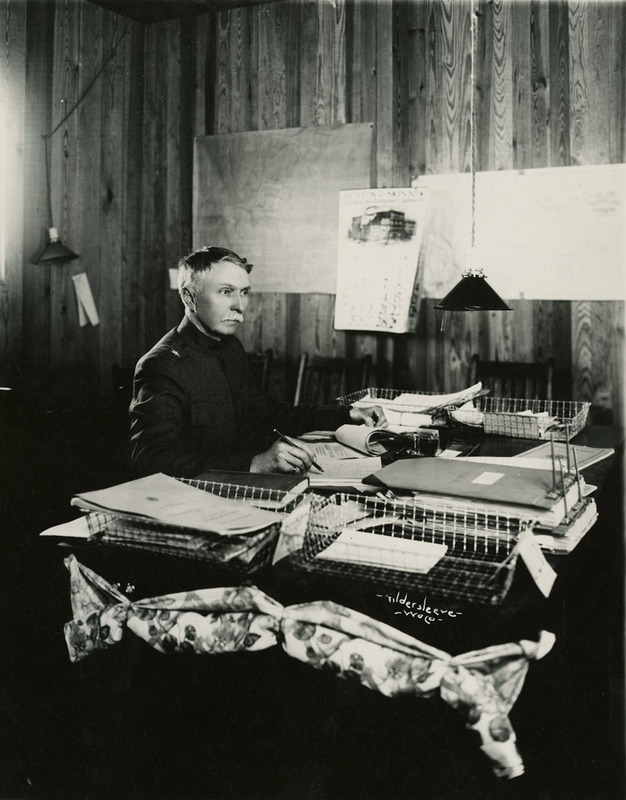 The camp consisted of administration offices, a tent city, a base hospital, and a number of other military buildings. Loretta Johnston, a nurse at the hospital in 1918, described the base as “very pleasing to the eye” and the hospital as a “pleasant place for [the] sick and convalescent soldiers.” Johnston also wrote of a recreation hall in the hospital which housed parties and dances for the nurses and officers on weekends. 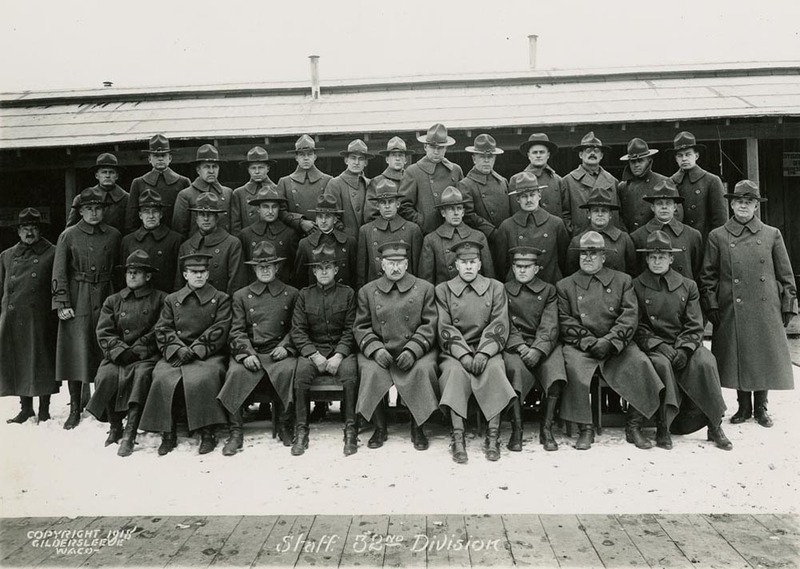 The troops from Wisconsin and Michigan formed the Thirty-Second Infantry Division of the National Guard. 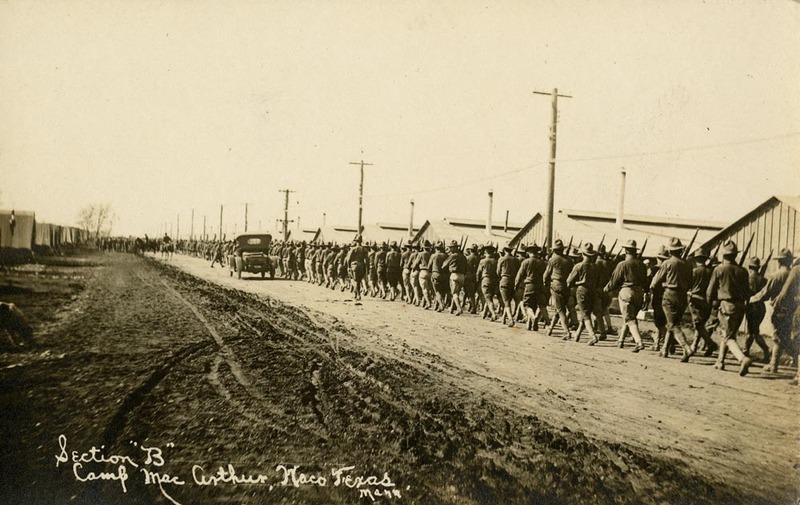 After receiving basic training in Waco, these troops joined the American Expeditionary Forces near Langres, France, on February 24, 1918, where they received more training and ultimately became a front line unit. 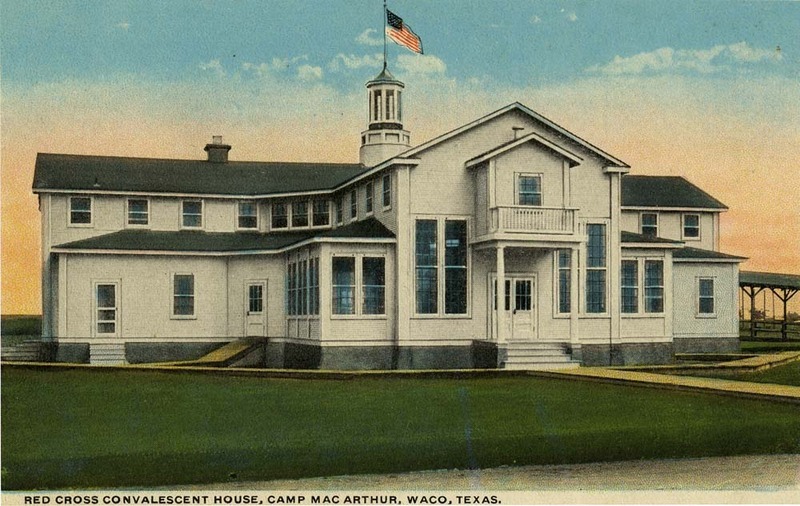 After the deployment of the Thirty-Second Infantry Division, Camp MacArthur became an infantry replacement and training camp, as well as an officer school. Recruits from Texas, Arkansas, Missouri, and New Mexico arrived in Waco to receive their training until the camp became a demobilization center following the armistice of November 11, 1918. 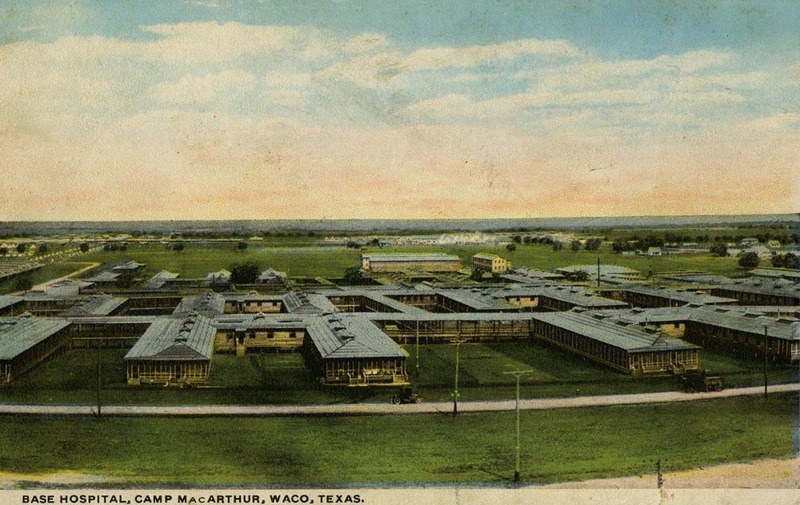 Camp MacArthur officially closed on March 7, 1919, and the land it formally encompassed was incorporated into the city of Waco. Portions of the materials from the camp were then used to construct a portion of the US-Mexican border; others were used to build houses in the Edgefield neighborhood in Waco. Nurses Ready to Help: The Influenza outbreak took hundreds of lives at Camp MacArthur. 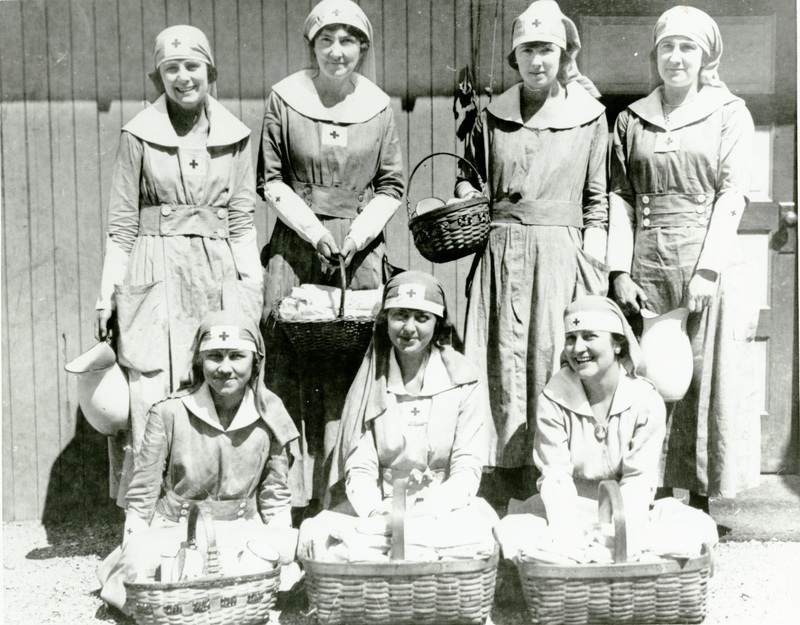 Brave young women tended to the sick soldiers throughout 1917 and 1918. ~ Source: George H. Williams papers, #3297, Box 179, Folder 9. The Texas Collection. Baylor University. 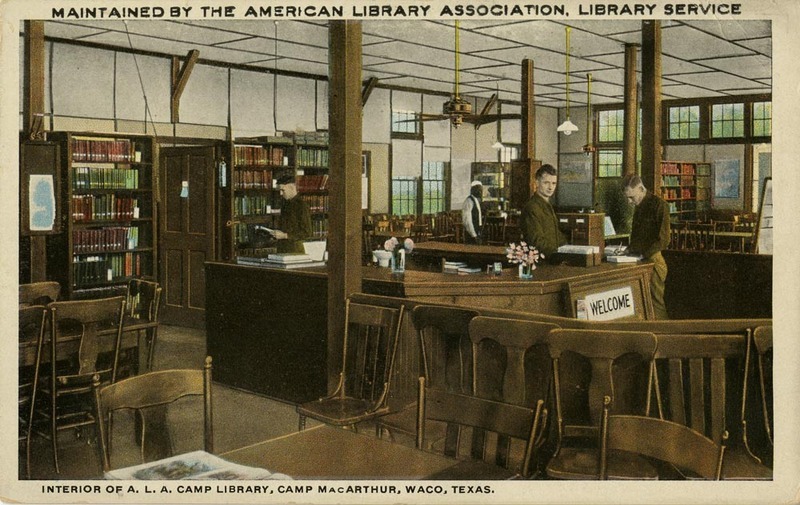 Amanda Sawyer, “Camp MacArthur,” Waco History, accessed April 26, 2019, https://wacohistory.org/items/show/48. Johnston, Loretta. 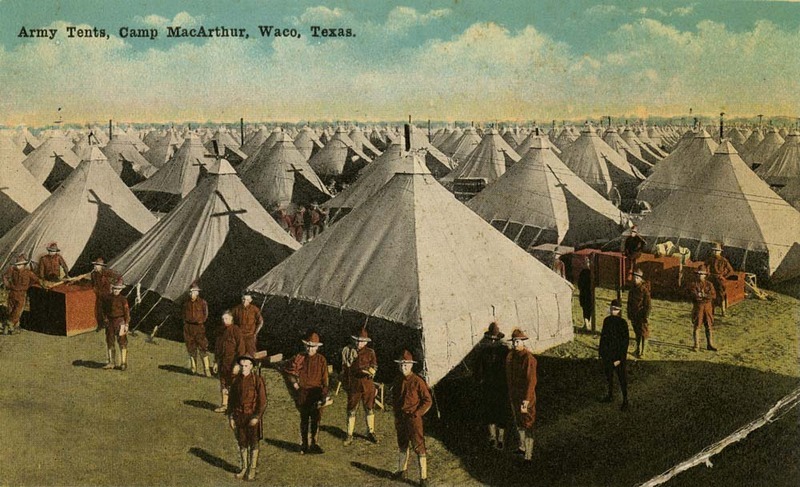 “Camp MacArthur, Waco, Texas.” The American Journal of Nursing 18, no. 8. May 1918. 697-699.